I’m feeling almost nervous writing this post because it’s been so long! Instead of providing you with a bunch of excuses for my absence, I’m instead just going to put it behind me and start anew. I’m excited for some upcoming blog posts and a potential blog makeover, but first I’m going to share with you my favourite green smoothie recipe. Toppings (optional): this is totally up to you; I went for chia seeds, blueberries and almonds. It’s as easy as throwing all the ingredients in a blender till you get a smooth creamy consistency! The coconut cream and lack of too much liquid result in a super creamy smoothie that will kick start your day perfectly. 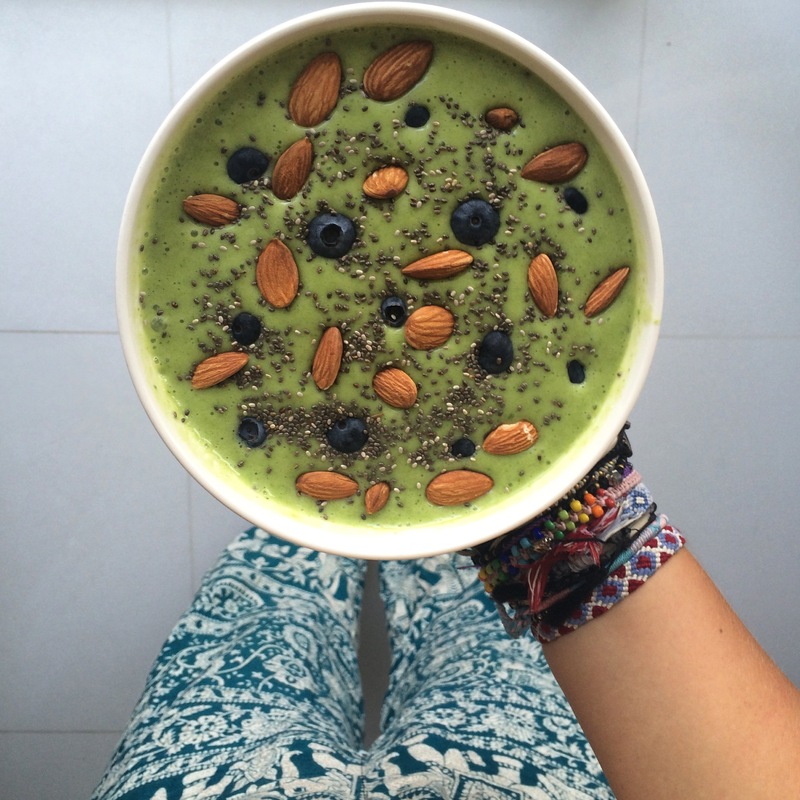 What is your favourite smoothie combo? Let me know below!